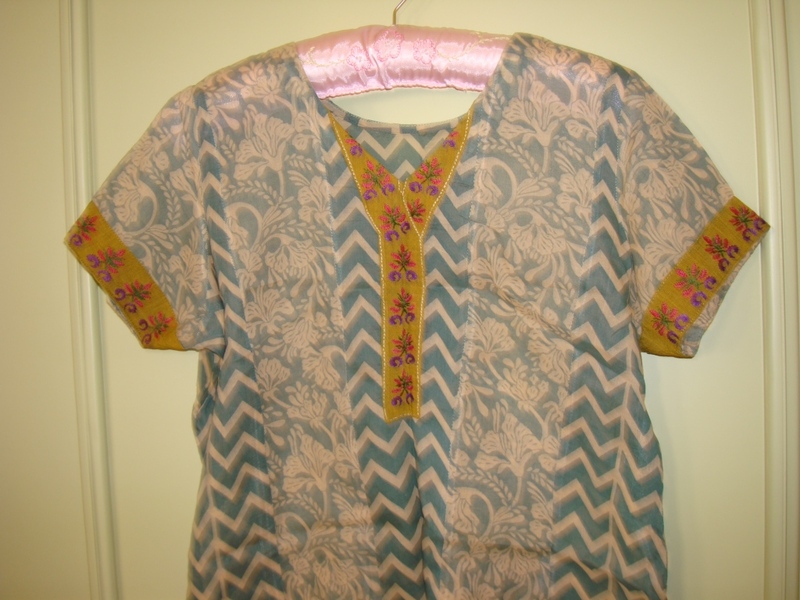 I bought two printed green voile fabrics and made it into a single tunic. 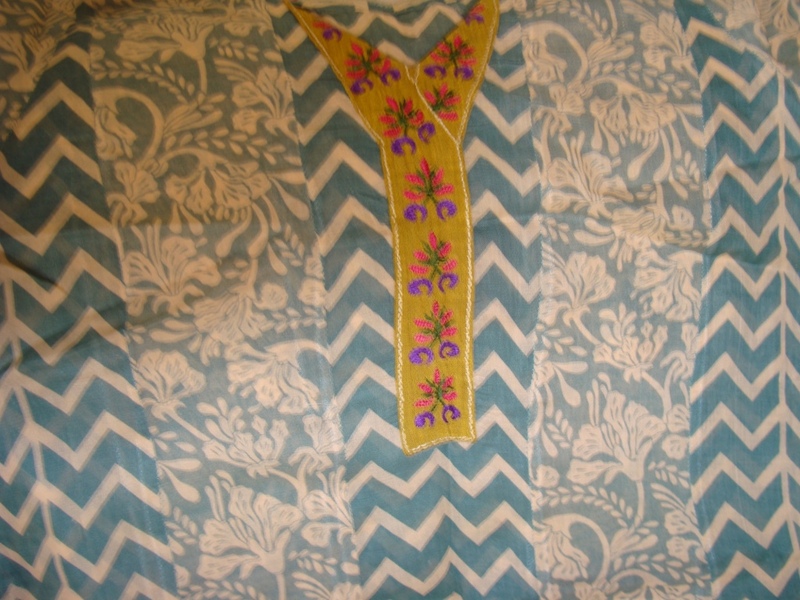 This idea of mixing the fabric for a tunic was on my mind for some time, and I[ my tailor] tried it . Embroidering a yoke in completely different colour range occurred after seeing a fashion show picture. 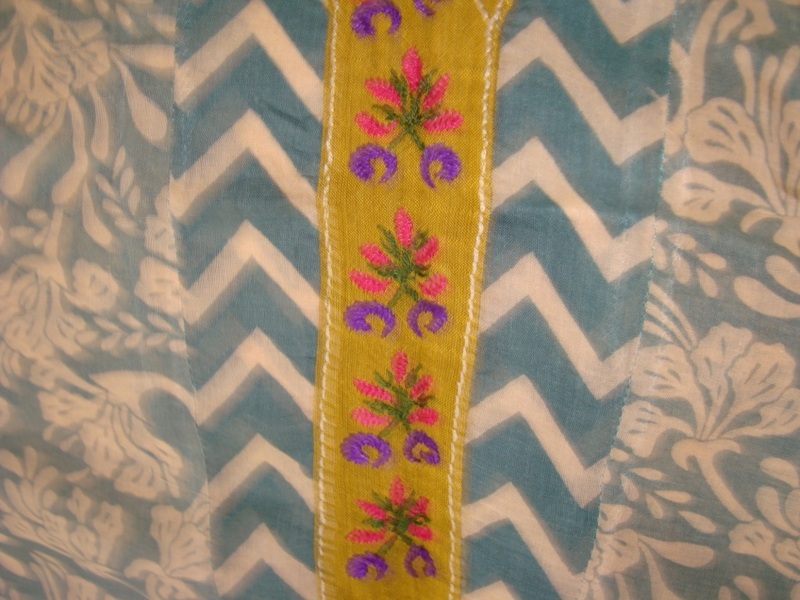 The stitches used are mainly herringbone, with three strands of cotton skeins. Many colour schemes can be tried in this way, I am sure most of them would be even better,. Basic idea is the main dress should be in in a neutral colour and yoke and the embroidery should be bright and contrasting. But believe me, it is so cool in summer.